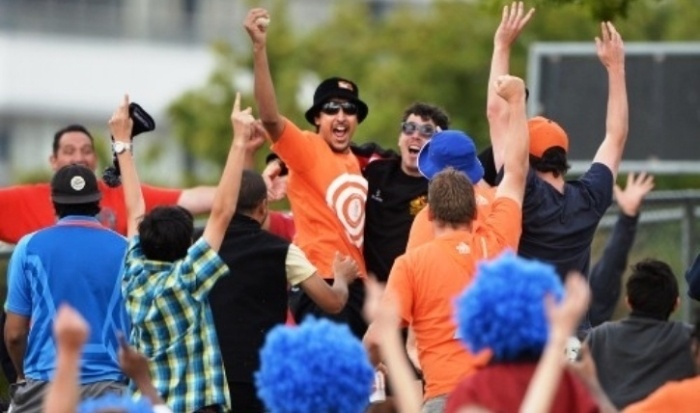 Beer brand Tui changed the way people watched cricket in New Zealand with an experiential stunt that offered spectators a share of $1,000,000 for a one-handed catch. Cricket fans who bought a crate of Tui beer received a free branded t-shirt which they were encouraged to wear to cricket games. Anyone in the stands wearing a Tui shirt who managed to get their (one) hand on the ball also caught the one of the ten $100,000 prizes up for (literal) grabs. Unsurprisingly, throngs of hopeful cricket fans flocked to the stadiums clad in the shirts, resulting in a sea of orange in stadiums across NZ – and soon enough, everyone was more interested in the crowd than the game. The sea of orange shirts even got pundits talking, with many commentators referring to the Tui competition during the games! This kind of unpaid high-profile publicity is exactly what good experiential marketing and PR campaigns ultimately aim for. By aligning the beer brand with New Zealand’s favourite summer pastime, Tui created matchless levels of participation, brand recognition and media attention; the brand reached 120 million people through the global media coverage of the contest. We love the use of a good old fashioned competition in experiential marketing campaigns - if you like this idea, you’ll love Tourism Tasmania’s giant game of musical chairs!